MVLP offers attorneys a wide range of volunteer opportunities. Most attorneys donate their time by providing advice at a legal clinic or pro bono representation to a MVLP client. Our case list offers a wide range of litigation and transactional opportunities. In addition to pro bono representation, attorneys can participate in an MVLP legal clinic, assist in legal trainings, and serve as mentor attorneys. 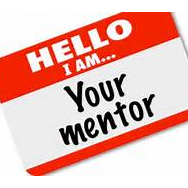 For information on how you can handle a pro bono case or mentor other attorneys, contact Gayla Carpenter-Sanders, Executive Director/General Counsel, at gsanders@mvlp.org or 601-960-9577 and visit http://www.mvlp.net/attorneys/ and click on "register here" at the bottom of the page. http://www.mvlp.net/attorneys/ and click on "register" here at the bottom of the page.